Page up and down, Dark Screen and Escape/Resume functions Pages could be turned freely and silently, and highlight effects can be obtained in the presentations. Makes your demonstration or presentation more dynamic. Hyperlink Function - One simple click you can directly access to website links in you prsentation. View More In Presentation Pointers. If you have any questions about this product by BlueBeach, contact us by completing and submitting the form below. If you are looking for a specif part number, please include it with your message. Wooden Pointer, AA-780AP36 - 36" MADE IN USA w/ROUND APPLE & red rubber end cap, perfect for smart board screen. 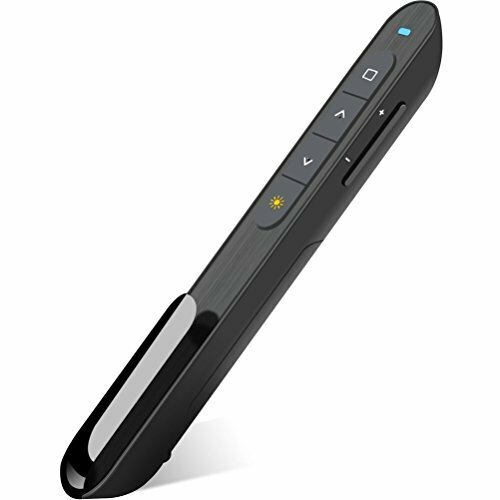 Presentation Pointer Powerpoint Remote. Presenter Mouse, Wireless, Red Pointer. Windows & Mac. Metal Retractable/Telescoping Red Pointer, extends to approx. 35", AA-778NO w/pocket clip for Educators/Therapists.